The Howard County High School Gifted and Talented Orchestras got their start as the Howard Regional Youth Orchestra over a quarter century ago. 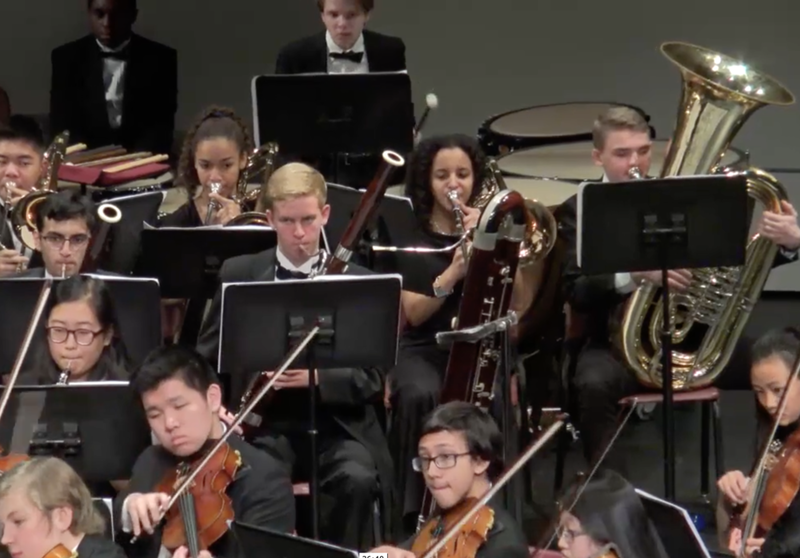 One of Maryland's premier youth orchestras, the HSGTO Symphony Orchestra has performed at New York's Carnegie Hall, Washington, DC's Kennedy Center, The Midwest Clinic in Chicago, and Baltimore's Meyerhoff Symphony Hall. Our new Repertory Orchestra is excelling under the direction of Sari O'Bryan and Kate Bateman. This past year, we shared the stage with TwoSet Violin for two incredible concerts, and we soon have announcements about our projects for the 2019-2020 season. We couldn't be more excited about the upcoming year and we can't wait to share that excitement with all of you!